The Panthers made some additions to the roster Friday, but the players added haven’t been sitting around idly, as Carolina was one of multiple teams this week to snap up players who competed with the recently-folded upstart football league Alliance of American Football – the spring league that debuted to impressive ratings and had many fans in the NFL ranks, including Ron Rivera, suspended all activities and allowed players competing in it’s ranks to sign with NFL clubs earlier this week. The Panthers announced Friday that they’d signed interior linemen Parker Collins and Kitt O’Brien, and Adam Schefter reported Thursday that the team will sign wide receiver Rashad Ross. While Ross will draw most of the attention from the fanbase as he led the AAF with seven receiving touchdowns and the second-most receiving yards (583) in the truncated AAF season, it’s local product Parker Collins – who played three seasons at Appalachian State at both center and left guard and earned First Team All-Sun Belt honors at center – and Kitt O’Brien, who spent time with the Colts and Browns as well as the Cleveland Gladiators of the AFL before starting for the Birmingham Iron in the AAF this season, who have already begun to show their enthusiasm for their chance to perform in the NFL. And even though the Ross signing has yet to be officially announced, he has all but confirmed it on his Twitter account. 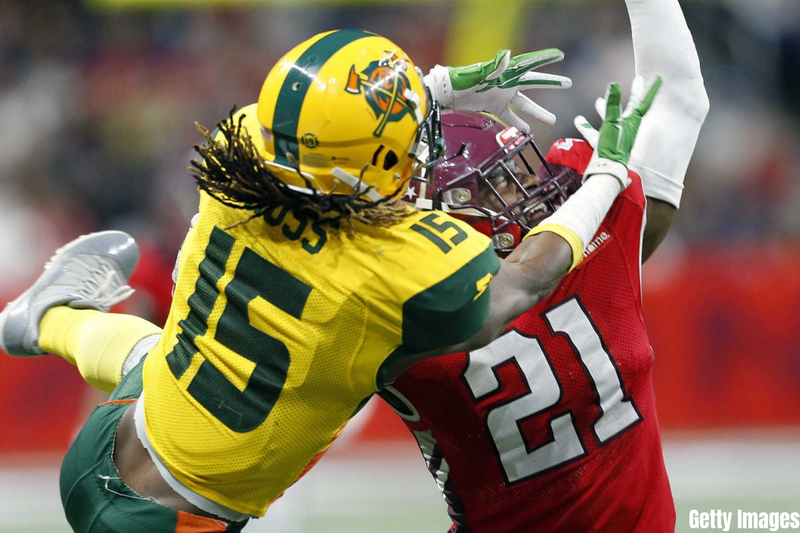 Ross, who has nine career receptions for 192 yards and one touchdown in the NFL, spent time on nine different teams in the NFL since 2013 before shining in the AAF; the 29-year old former Sun Devil, who was credited with a 4.4 40-yard dash, also had one of the fastest plays of the 2015 season. The league may have suspended activities, but many NFL execs saw a great value in having another league for players to get reps in if they aren’t on an NFL roster. That’s exactly the case – even if it’s a couple of months earlier than expected. EDIT: Monday afternoon, the team announced that they’d officially signed Ross as well as defensive tackles TJ Barnes and Destiny Vaeao, offensive tackle Brandon Greene and tight end Thomas Duarte.